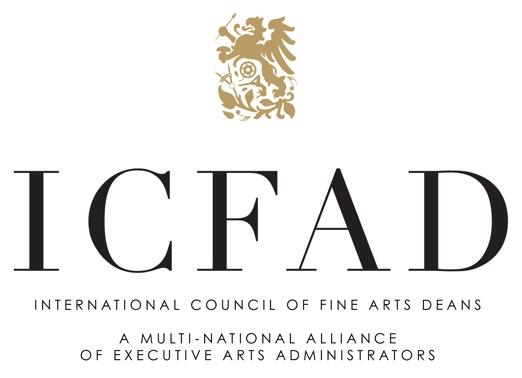 At its annual conference, the International Council of Fine Arts Deans may honor an individual or organization that has demonstrated significant advancement or support of the arts on an international, national or regional scale. The recipient who has contributed significantly toward the advocacy, support, visibility or creativity within the arts is selected by the ICFAD Board of Directors. The honor includes an award created by a local artist and a $1,000 contribution to a young artist or arts organization chosen by the award recipient. Please click on the recipient’s name to read more information about the award recipient, the award itself, and the recipient of the financial contribution. 2007 in Charleston: The Honorable Joseph P. Riley, Jr., former Mayor of Charleston; and Mary Jackson, a noted sweetgrass basket maker and MacArthur Fellow.